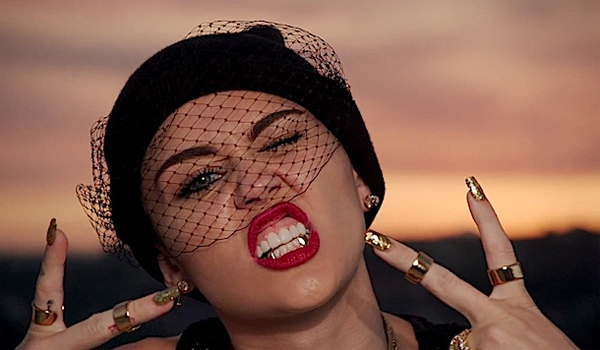 Miley Cyrus’ We Can’t Stop: Celebration or Lament? If you have not seen the music video for Miley Cyrus’ We Can’t Stop, you’ve at least heard of it. Or maybe you heard about her recent performance on MTV’s VMA Awards. Here’s the music video, but it’s definitely not safe for the little ears and eyes. First off, it’s a fantastically directed video. Every image is meticulously curated, and there is a consistent form and content that hold it together. Well done. Don’t laugh…this is our mirror. If everything is objectified that means we are too. This is all the more apparent with Miley just being another object to look at. In objectifying her world, she, too, has become an object, nothing more than one of those big teddy bears. This is not a new song. The Old Testament brings this problem up often. Some may celebrate it, some may lament. But does the world offer anything more than offended sentiment? I’ve found the general reactions to the offense as empty and vacuous as this music video. We Can’t Stop is as much a celebration as it is a curse. We can’t stop. We want to, but we simply can’t. We’re content to skitter along the surface, dance in the pool, but dare not look into the deep end, let alone swim there. We need someone to stop us. If we were created for something, if meaning really does exist in this word, then We Can’t Stop becomes a lament. If there isn’t meaning, We Can’t Stop is, and should be, a celebration. I believe there is meaning in our world. We are in need of someone out there to stop us. We need Flannery O’Connor’s bull. He looks at us and gores us, stopping us dead in our tracks. He does mean to kill us, but not merely to kill us. Ampersands. I love them. When I was thinking of doing a new music project based on old texts and new music, I immediately thought of an ampersand (You know, this thing: &). So what’s the deal with the cover? I’m glad you asked, let me explain myself. 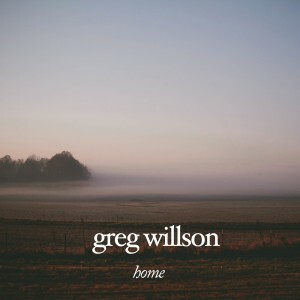 It all started with the idea: I’ve had lots of songs that I’ve crafted from old hymn texts, metrical psalms or older poems…how could I develop them further and get them out? How’s bouts three EP length releases? Sounds good to me. So it began. Since I heard about Twitter around 2 years ago, it has been steadily gaining popularity. These past few weeks there have been a few posts going around, mostly defending Twitter and its challenge to make something out of 140 characters. Twitter is a real easy thing to harass and hate on. Sure there can be downsides (I mean, who cares about when I’m standing in line or buying groceries? ), but there’s a downside to nearly everything. When radio first came out (or any other new type of communication), I’m sure there were people having these same conversations. The trick is to recognize the medium and use it to its advantage. We don’t want to pretend that the medium doesn’t affect the message, and therefore, I don’t think we can say that Twitter is “just like having a conversation” because it’s not. But there are advantages that Twitter has that our conversations won’t, such as searchability, or hyperlinks, or the strange interconnectedness the web offers. Let’s skip over all those boring conversations where we try and convince ourselves that using Twitter is like any other type of conversation and see where it’s different. That’s where the advantages are. 1. Storied – site by Corbis that gives the stories behind interesting and important photographs. 2. Re:Sound – The Resurgence’s music stuff is underway, download the MP3 Sampler and chord charts. 3. Cucumber Riot – Download Gasoline Heart’s new album for free, via Paste Magazine. 4. Images of Faith CD – 100 images from many different artists used for illumination’s sake (not illustration) for corporate worship. Also includes essays on the works and biographies of the artists. 5. Here’s an article from the Calvin Institute of Christian Worship on the difference between illumination and illustration; and illumination’s importance in our lives and our worship. 6. Small’s Jazz Club Audio Archive – lots and lots of full sets from their impressive list of musicians, all free. Now I don’t have the time or the will power to write a post for each of these things, but I enjoy sharing them. 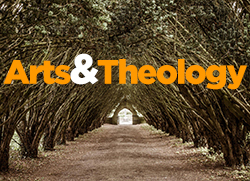 So most of my Twitter use will be in the same vein as this site: the arts, theology, the arts and theology, with a little of my personal life thrown in every now and again. This is pretty close to making a linkblog, something I’ve thought about doing since this site’s revision. If you’re on Twitter, you can follow me. If you’re not on Twitter, but use a feed reader, here’s the feed and now there’s a subscription button up on the sidebar. If you’re not on Twitter and don’t use a feed reader, that’s OK too, you can always just go to my Twitter page. Plus, I plan on putting out a weekly post on what I’ve found over the past week.